For over 30 years, Robert Smith® has provided superb quality furniture at exceptional prices and offers a wide selection in several styles and finishes. The Tree of Life is mentioned several places in the Bible. Artisans recreate the image in their paintings, sculptures, and carvings. 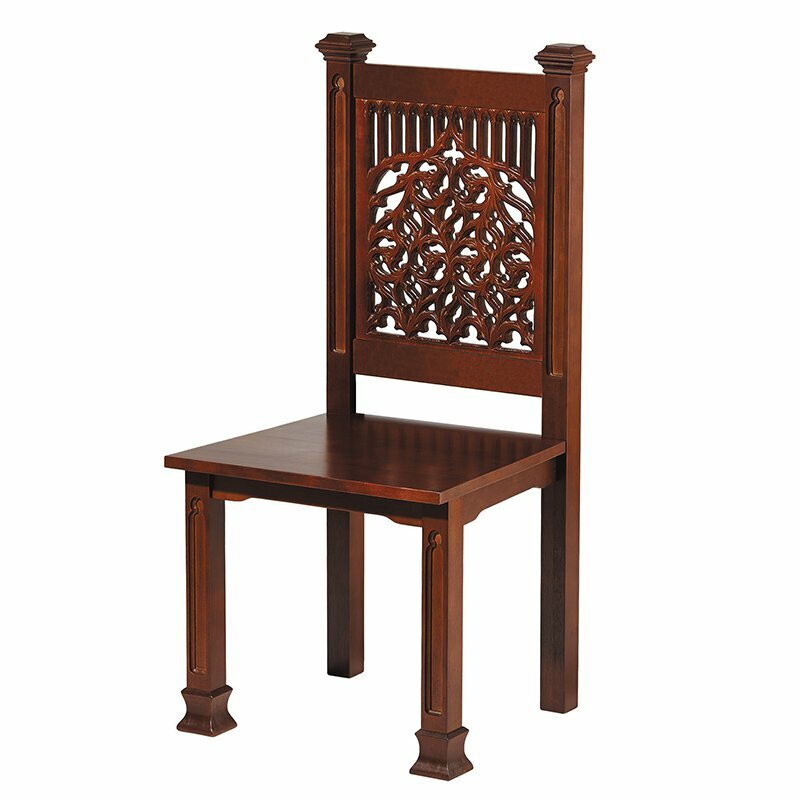 This side chair from the Tree of Life Collection is reminiscent of old-world craftsmanship and features this exceptional design with a functional purpose in mind. Made from 100% maple hardwood, the chair comes in Walnut Stain finish. Also available in Medium Oak (Item no. D1903).